Sydney Aiello, a 19-year-old survivor of last year's mass shooting at Parkland High School, tragically took her own life last weekend, her mother Cara has revealed. The young woman had reportedly suffered from "survivor's guilt" for quite some time. While sharing her family tragedy, Cara stressed the need to address trauma-related mental illness. Aiello’s mother, Cara, and members of the Parkland community say this is an important time to remind everyone of the number of resources available for those who need help. Aiello was reportedly good friends with Meadow Pollack, one of the 17 individuals who died in the shooting. Pollack's father Andrew has been very vocal about improving school safety and even started an initiative to get it done. He supported the STOP School Violence Act in Congress, which would improve communication between local law enforcement and schools. 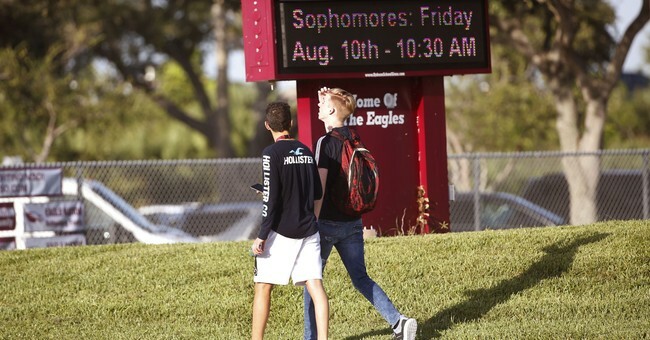 He has also been one of many parents to demand the removal of Broward County Public Schools Superintendent Robert Runcie, who Pollacks says ignored warning signs about his daughter's murderer. Pollack has also sued Scot Peterson, the school resource officer who failed to enter the building where the shooting took place. President Trump was one of many people to condemn Peterson as a "coward" for his inaction. Aiello had just recently graduated.